Everyone experiences headaches now and again, but some people suffer from chronic, recurring headaches that interfere with their daily lives. There are a number of potential triggers for chronic headaches, as well as varied treatments, from pain medication to care from a chiropractor. If you’re living with chronic headaches, consult a chiropractor serving Geneva for advice and consider this information about the condition. Chronic headaches are headaches that occur on an almost daily basis. If you have more headache days than not, you could be suffering from chronic headaches. Because they occur so frequently, chronic headaches can be extremely debilitating and interfere with your ability to take part in your daily activities. Usually, your doctor or chiropractor will diagnose you with chronic headaches if you have them more than 15 days per month for three months. The exact symptoms you experience with chronic headaches will depend on the type of headaches you’re having. For instance, if you’re having chronic migraines, you’re likely to experience moderate to severe pain on one side of your head. If you’re having chronic tension headaches, you will have pain on both sides of the head. 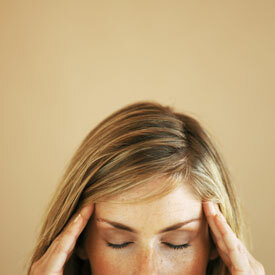 Diagnosing what type of headaches you’re having is the first step in getting treatment. The causes of chronic headaches are varied and include inflammation, infection, and a heightened pain response. In some cases, chronic headaches are actually caused by rebound pain that occurs from taking pain medications too frequently. If you rely on pain medications to treat your headaches for more than three days in a row or more than nine days in a month, you could have rebound pain. Breaking the cycle of pain without medications, such as through treatment from a chiropractor, can alleviate your symptoms without triggering rebound pain.